The Agreement went into force on 4 November 2016, right before COP22 that took place in Marrakech earlier this month. It may not have enjoyed the same momentum and exposure as last years’ edition in Paris, yet COP22 was another step forward. What did COP22 bring to the table? COP22's key focus was “implementation”. Politicians, countries and organizations used this year’s event as a platform to announce new initiatives, strategies and financial plans. Even long-term strategies were shared amongst some key countries such as Germany, Mexico and Canada. One of main outcomes of COP22 was the urge for financial commitment. Developed countries re-affirmed their intention to continue their existing collective goal to mobilize USD 100 billion per year by 2020 and extend this until 2025. At first glance, this investment seems to be intended for scaling up efforts and support actions to reduce emissions, as well as for upholding and promoting regional and international cooperation. The US delivered its roadmap, which promises an 80% reduction in its emissions by 2050. Although it remains unclear how this roadmap will evolve with President-elect Trump policies, positive sings are coming from the market side. In a memorandum, more than 400 companies and NGO’s, with a market cap of USD 4 trillion, stressed the importance of climate change and the effect on welfare. What also struck me, were two findings presented at COP22 by different panels. The first one demonstrated the latest findings from the Global Carbon Project. The results showed that there was almost no increase in annual CO2 emissions between 2014 and 2016. Encouraging results, yet far from being what we need to keep the global temperature rise well below 2 degrees Celsius. The second panel showed the growth in clean energy investment (especially in China, Africa, the US, Latin America and India in 2015), driving the world total to its highest ever figure - $328.9bn. 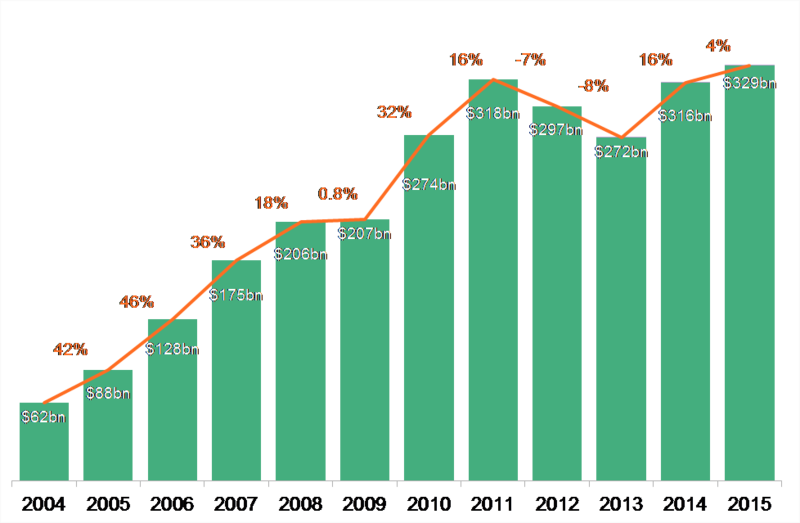 This figure's up 4% from 2014’s revised $315.9bn, and beats the previous record set in 2011 by 3% (see graph below). This means that, from a global outlook, hundreds of millions of workers are now becoming more and more dependent on the renewable energy industry. What’s the role of e-mobility? We had the honor to present ourselves at COP22, as we supported the summit by installing the first charging station in Morocco. In addition, we installed 18 more charging points across the city of Marrakech, including its main airport. Throughout the summit, it became clear that the need for a transition towards more sustainable transportation is high. Many of the attendants pointed out the enthusiasm surrounding, and the increase of EV adoption. Many believed that we may soon reach a turning point, where we’ll be able to increase electric vehicle sales across the world exponentially. 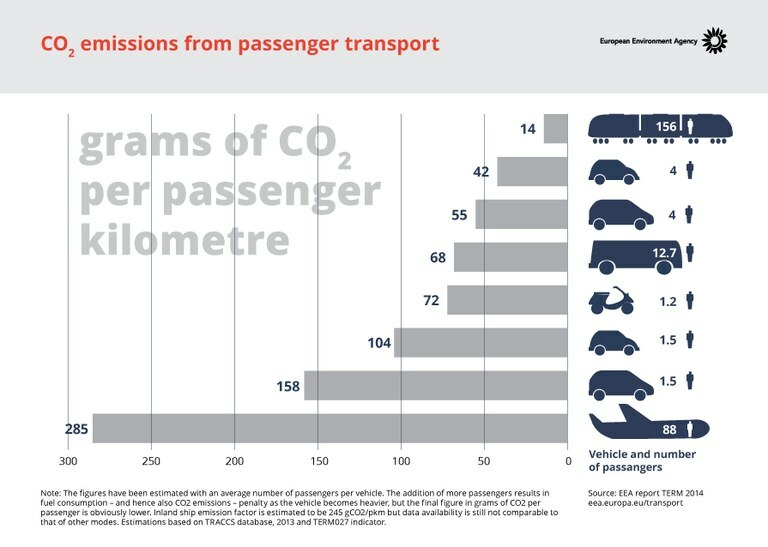 According to the World Bank, CO2 emissions from transport equals to 20% of the total CO2 emissions transmitted worldwide. The graph above shows the impact of road transport and how electric mobility can help drivers around the world move to a more sustainable way of transport. For this to happen though, we need all stakeholders to work together. 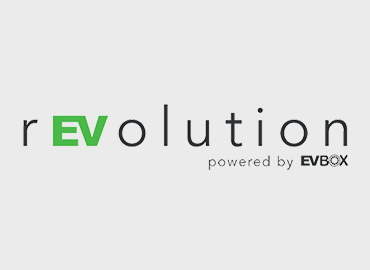 From OEMs and municipalities, to energy and utility companies, as well as electric vehicle charging operators. A smart and green charging infrastructure, along with energy-efficient smart charging technology, will be key for the rollout for electric vehicles and the adoption of electric driving. So despite being away from the spotlights, COP22 managed to showcase solid progress that’s made by countries in implementing last year’s Paris Agreement. We now have the mandate to set out long-term decabornization strategies, and to set out our plans in the first half of this century. The Marrakech Movement empowered me. Like UN Secretary-General Ban Ki-moon put it during COP22, “We need everyone”. Engagement and implementation of the Paris Climate Accord needs to happen across waters, across societies. The time to act is now. Subscribe to our monthly newsletter for the latest industry updates.